The bulbous silhouette gives the tealight holder set a soft appearance, while the grooves on the outside provide dimension. Alone or in combination with other items in the series, a harmonious arrangement can be created that stylishly enhances any ambience. Fitted with ordinary tealights and placed on the coffee table, on the breakfast table or on the garden table for barbecue evenings, the tealight holder creates cosiness and an inviting atmosphere. 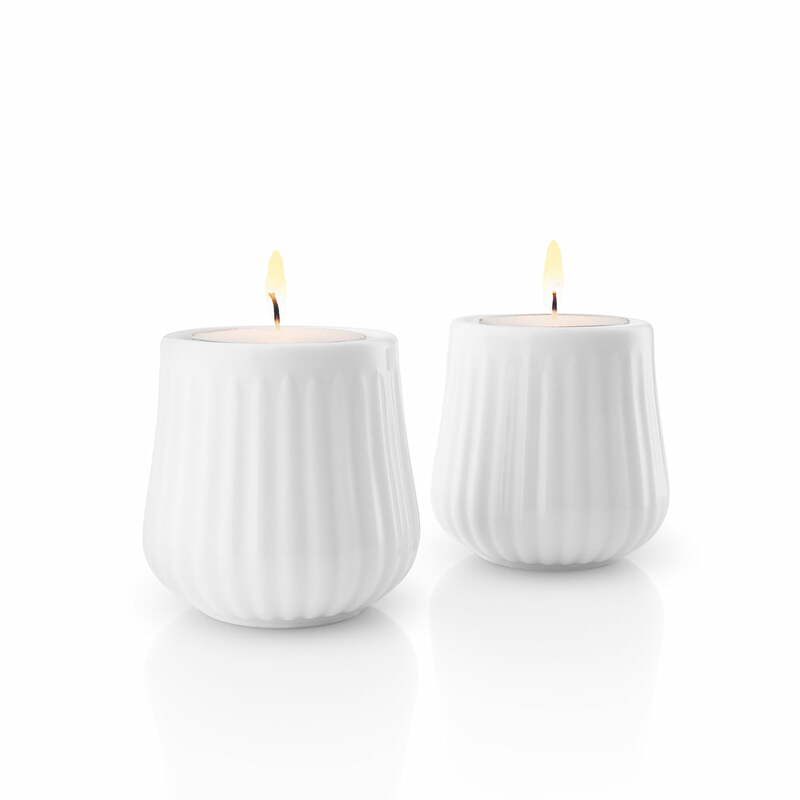 The Legio Nova tealight holder is supplied in a set of 2. The Legio Nova tealight holders by Eva Trio are made of porcelain and are characterised by their bulbous shape and the elegant grooved structure on the outside.